Not long ago, IceFrog released DotA 6.80c map, the third of its series' as a result of severe Gold Exploit in v6.80b which allowed any player to gain unlimited gold by abusing Ward-sharing mechanic. Luckily, that bug is now fixed, thanks to the quick response by IceFrog. Now you won't see any player with 6x inventory on Level 1. Download the DotA 6.80c map and enjoy fair gaming. Also, read how to perform 6.80b gold bug below! Download the map (with .w3x extension) and place it in (Warcraft III\Maps\Download) directory. 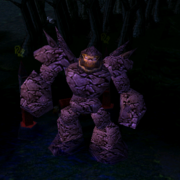 You must have Warcraft 3 TFT v1.24e or above to play this map. Move courier back to the Fountain so it acquires mana to use Wards. That's why we bought Energy booster. Select courier, click Sentry ward and target your hero standing with full inventory. Since, your hero has full inventory the wards will drop as a Yellow-book on the ground. Pick-up the dropped Wards (yellow-books) again using the courier and repeat the steps. And then sell the Wards for gold until you have gold to buy a 6x inventory. Tip: Instead of buying Energy Booster and courier, you can get an ally hero to do the same task. I wonder how these guys know the way to do this... o.O?? 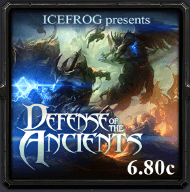 How did the Icefrog ? No DotA v 79 ai? it is possible that meepo get SS in lvl3?? it is possible that MEEPO get SS in Level 3?? my co gamer get it when he reach lvl 3.. i think its bug. what is the meaning of ss? when is new hero coming?? In Dota 2 Meepo gets his ulti on lvl3 just like on dota 1. Where do i download dota 2? please explain the exploit more deeply. hey, please anyone help me,, i can't find the DOWNLOAD botten can please anyone help me.. yeah!! pls make a lod ai map..
Why are you all so weak and damn ignorant?! All of you are stupid morons. You better play barbie because it fits to all of you weaklings!!! Which map has or had the most bugs? How do i play multiplayer ?? How do i connect to server?